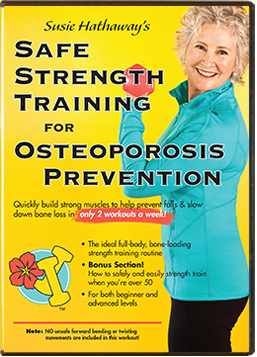 WASHINGTON, DC (August 2, 2010) – According to the National Osteoporosis Foundation (NOF), adults under age 50 need a total of 1,000 mg of calcium from all sources every day. Adults 50 and older need a total of 1,200 mg of calcium from all sources every day. Food remains the best source of calcium. Calcium supplements should only be used when adequate dietary intake cannot be achieved. Getting too much calcium from supplements may increase the risk of kidney stones and other health problems. If you are unable to get enough calcium from your diet and have concerns about taking calcium supplements, you should discuss these concerns with your healthcare provider. 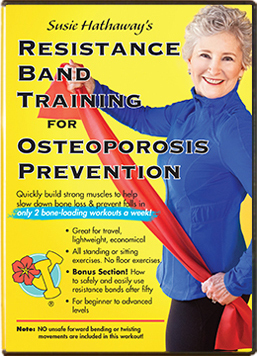 My “Safe Strength Training for Osteoporosis Prevention” DVD is a full body workout that can be done in the comfort of your own home. 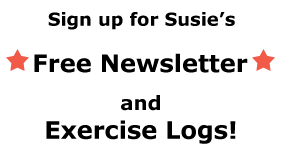 To purchase, click on the picture on the upper right of this website. Reviews are available on Amazon.com. Be sure to check with your doctor for any weight lifting restrictions.